After I had finished Janne’s Bulle, I took a break from knitting or crocheting. Not only was the summer very busy, but also extremely hot, so I did not really feel like doing anything with yarn. However, then around the end of July, my hands started itching again. That’s how I rediscovered a batch of cotton yarn I had bought a while back with a particular purpose I had now completely forgotten about. So high time to find a new purpose for it. 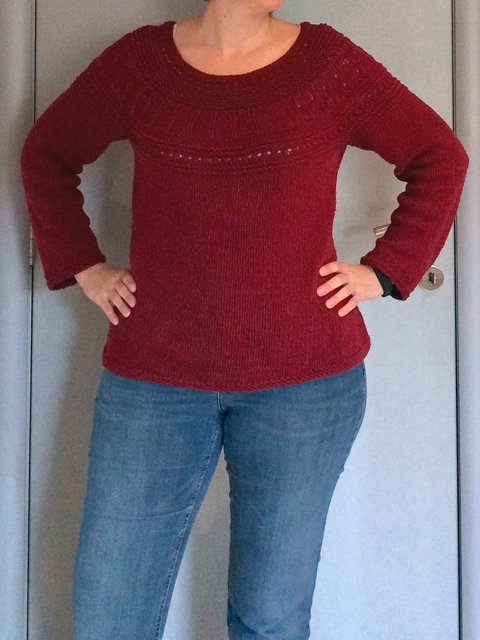 A little rooting around Ravelry brought this Athena jumper by Drops Design to my attention. 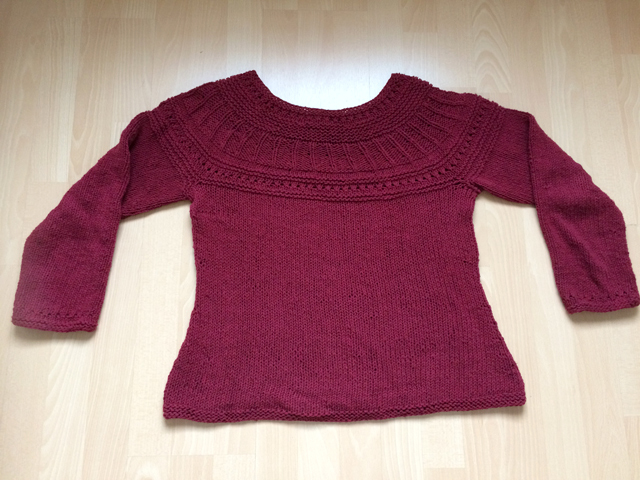 The pattern is written for Drops Paris, which is also a 100% cotton yarn. My gauge swatch was a little off with my Zeeman Cotton, but that could easily be adapted by knitting a size smaller than what I usually make.